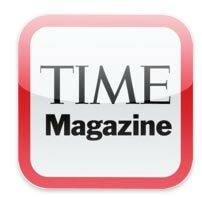 Magazine publisher Time Inc. and Apple have reached an agreement to make all of Time’s iPad editions available for free to periodical subscribers, signaling a potential resolution to a standoff between print publishers and Apple. Beginning tomorrow, subscribers to Sports Illustrated, Time Magazine, Fortune, and People magazines will be allowed to access iPad content at no extra cost. An application will authenticate readers as print subscribers and allow them access to unique content. Time Inc. print subscribers previously had to pay an additional fee to access content on the iPad. The processing of payments were handled by Apple landing them 30 percent of the revenue. In addition to that 30 percent take, Time was reportedly upset over the amount of control Apple had over subscriptions and user data. Apple declined to comment when contacted by TapScape.